What happens when you cannot find an old liability insurance policy? Here’s a few ground rules. It is well established that the burden of demonstrating liability coverage rests upon the insured. See, e.g., Domtar, Inc. v. Niagara Fire Ins. Co., 563 N.W.2d 724, 737 (Minn. 1997); Hoerner v. ANCO Insulations, Inc., 812 So.2d 45, 73 (La. Ct. App. 4 Cir. 2002). As part of this burden, the existence of the policy sued upon and the essential terms and conditions of coverage must be proved. Domtar at 737 (citing Bituminous Cas. Corp. v. Vacuum Tanks, Inc., 975 F.2d 1130, 1131‑33 (5th Cir.1992); American States Ins. Co. v. Mankato Iron & Metal, Inc., 848 F. Supp. 1436, 1441‑46 (D. Minn.1993); Town of Peterborough v. Hartford Fire Ins. Co., 824 F.Supp. 1102, 1108‑10 (D.N.H.1993); Emons Indus. v. Liberty Mut. Fire Ins. Co., 545 F. Supp. 185, 187‑89 (S.D.N.Y.1982). The insured has the burden of proving “(1) the fact that he or she was insured under the lost policy during the period in issue, and (2) the substance of each policy provision essential to the claim for relief, i.e., essential to the particular coverage that the insured claims.” Dart Industries, Inc. v. Commercial Union Insurance Company, 124 Cal.Rptr.2d 142, 52 P.3d 79 (2002). See, also, Century Indemnity Co., v. Aero‑Motive Co., 254 F.Supp.2d 670, 680 (W. D. Mich.2003) (to sustain its burden in a lost policy case, an insured must present evidence establishing both the issuance and terms of the policy, including the named insured; the period of coverage; the types of coverage; and the limits of coverage”); LeVere v. Aetna Cas. & Sur. Co., 208 Mich.App. 622, 528 N.W.2d 838, 839 (1995) (same). Assuming the putative insured can satisfy the burden of establishing the existence of a liability insurance policy and the essential terms and conditions of coverage, the insurer may then establish the existence, terms, and conditions of any exclusions which may defeat coverage. Domtar, Inc. v. Niagara Fire Ins. Co., 563 N.W.2d 724, 737 (Minn. 1997). When the alleged policy cannot be located, the insured may satisfy its burden with secondary evidence. However, an insured bears the responsibility of keeping track of which insurance carriers have provided it with liability insurance, Olin Corporation v. Insurance Company of North America, 966 F.2d 718, 725 (2d Cir.1992), and secondary evidence may only be relied on where the insured first demonstrates that it has made a “diligent but unsuccessful search and inquiry for the missing documents.” Burroughs Wellcome Company v. Commercial Union Insurance Company, 632 F.Supp. 1213, 1223 (S.D.N.Y.1986). See, also, Hoerner v. ANCO Insulations, Inc., 812 So.2d 45, 73 (La. Ct. App. 4 Cir. 2002) (party seeking to establish coverage bears the general burden to show due diligence in its attempt to find the lost or unavailable instrument); Schozer v. William Penn Life Insurance Company of New York, 84 N.Y.2d 639, 620 N.Y.S.2d 797, 644 N.E.2d 1353, 1355 (1994) (contents of a document may thus be established by secondary evidence only where the failure to produce the original is satisfactorily explained). 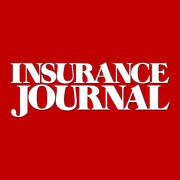 This entry was posted in BAP, CGL, Coverage and tagged CGL Coverage, Commercial Liability Coverage, Gregory J. Johnson, Insurance Law, Lost Policies. Bookmark the permalink.